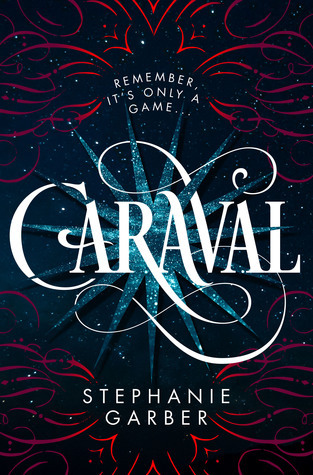 "Whatever you've heard about Caraval, it doesn't compare to the reality. It's more than just a game or a performance. It's the closest you'll ever find to magic in this world." Before even starting this book, I'd seen how many great reviews it had. Therefore, my expectations were 100% unfairly high. 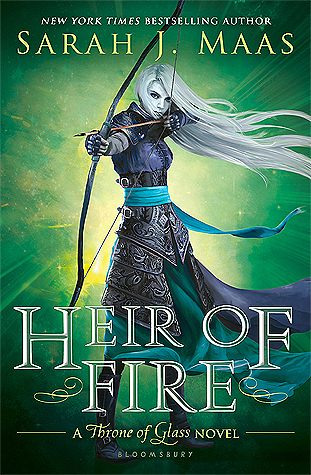 Maybe that's partially why I didn't fall in love with Caraval like so many others did. There were just too many things that bothered me, and honestly, I found it quite boring. I wasn't a huge fan of Scarlett. "She was a pretty girl, though she often liked to hide it." Bleh. Also, she's a little meek for my taste. "Scarlett attempted to make a sound of disgust, but it came out more like a whimper." Although she didn't drive me crazy or anything (most of the time, anyway), I was really unimpressed with her development. The romance was equally uninteresting. It was as if Scarlett was so deprived of romantic relationships and sexual attraction that when she finally faced it she was helpless. There was no real substance between her and Julian. It was the same old "I'm dark and mysterious" trope and Scarlett fell right into it like the idiot that she is. Scarlett can see colors attached to her own emotions, as well as the feelings of others. It was a little odd, and I'm not sure if I liked hearing about "goldenrod delight" or "ashy shades of anxiety" or "periwinkle curiosity" or "ochre shades of uneasy." Seriously, it was such a random trait and the descriptions go on forever. It felt a little forced to me, like there was an unnecessary amount of description. In fact, I thought many aspects of Garber's writing were a little too over-the-top, almost like she was trying too hard. There is such as thing as too many colorful descriptions. Also, I found Garber's writing to be a little childish for my taste. She takes too long to explain things, and her sentences often remind me of ones found in chapter books for kids. I've said before that I love books about strong sister relationships, and obviously this looked like it would be right up my alley. Having said that, the sisters in this book didn't really intrigue me that much. They both seemed more preoccupied with their selfish interests than helping one another. Over and over again, they claim that they are so important to each other, then dash off to chase their own dreams. For instance: "If not for Scarlett's determination to protect her sister at all costs, she might have given up long ago. She probably should have. What was that saying, No love ever goes unpunished? In many ways, loving Tella was a source of constant pain." Well, that certainly sounds like unconditional sibling love to me. So, why did I even bother to give this book two stars if so many things bothered me? The answer: Caraval. It's a unique idea, and I loved the magical aspects of the carnival. I was so interested in Legend and his role in the story. There was potential for this book to be intriguing, but the drawn out mystery and Scarlett's character drove my interest away almost immediately.